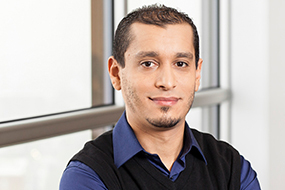 Wassim Bouachir received his Ph.D. degree in computer engineering from Polytechnique Montréal. Following his doctoral studies in computer vision, he joined l'École de Technologie Supérieure (ÉTS) as a postdoctoral researcher. He is currently a Professor of computer science at TÉLUQ, a researcher at LICEF research center, and an associate professor at ÉTS. His research interests include image analysis and video processing, where his main objective is to develop novel computer vision algorithms for intelligent video surveillance. His research in computer vision focuses on several application areas, such as security, health, and forestry. Li, Bo; Bouachir, Wassim; Gouiaa, Rafik, & Noumeir, Rita (In Press). Real-time recognition of suicidal behavior using an RGB-D camera. In Proceedings of the International Conference on Image Processing Theory, Tools and Applications (IPTA). IEEE Xplore Digital Library. Rehouma, Haythem; Noumeir, Rita; Jouvet, Philippe; Bouachir, Wassim, & Essouri, Sandrine (In Press). A computer vision method for respiratory monitoring in intensive care environment using RGB-D cameras. In Proceedings of the International Conference on Image Processing Theory, Tools and Applications (IPTA). IEEE Xplore Digital Library. Bouachir, Wassim, & Noumeir, Rita (2016). Automated video surveillance for preventing suicide attempts. In Proceedings of the 7th International Conference on Imaging for Crime Detection and Prevention (ICDP). Madrid, Espagne : IET Digital Library. Bouachir, Wassim; Torabi, Atousa; Bilodeau, Guillaume-Alexandre, & Blais, Pascal (2016). A Bag of Words Approach for Semantic Segmentation of Monitored Scenes. In Proceedings of the International Symposium on Signal, Image, Video and Communications. Tunis, Tunisia : IEEE. Chen, Gengjie; St-Charles, Pierre-Luc; Bouachir, Wassim; Bilodeau, Guillaume-Alexandre, & Bergevin, Robert (2015). Reproducible evaluation of Pan-Tilt-Zoom tracking. In Proceedings of the IEEE International Conference on Image Processing (ICIP). IEEE. Chen, Gengjie; St-Charles, Pierre-Luc; Bouachir, Wassim; Joeisseint, Thomas; Bilodeau, Guillaume-Alexandre, & Bergevin, Robert (2015). Reproducible evaluation of Pan-Tilt-Zoom tracking (extended version of the 2015 ICIP paper) (rapport de recherche présenté à IEEE International Conference on Image Processing (ICIP))..
Whiten, Chris; Bouachir, Wassim; Bilodeau, Guillaume-Alexandre, & Laganière, Robert (2012). The current state of face tracking for video surveillance (rapport de recherche). Canada Border Services Agency (CBSA).